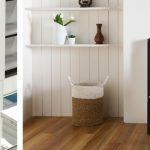 Do you ever get those spring or summer nights where you don’t want the central heating on, but want to warm the lounge a little? An electric fire makes the perfect solution, offering instant localised heat for those chilly spring-summer evenings, but also the option to have a fireside glow without heat if desired. 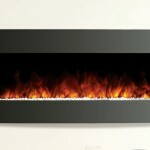 If you are currently looking for a wall mounted electric fire, here are four striking models for you to consider. 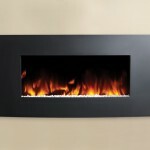 The wall mounted Radiance electric fire adds a focal point to any room with no building work required. Available with two different framing options, the eye-catching Glass and the contemporary Steel, this fire offers an ultra-modern flame effect with simple design and various colour lighting options. The Radiance is also available with a semi-recess kit, which gives the option of being able to partially set the electric fire into the wall if desired. This gives this electric fire an even slimmer profile. One of Gazco’s most versatile electric fire ranges, the Skope outset models come in different sizes and can be installed as two or three-sided fires. From the portrait visuals of the 55W to the long landscape aesthetic of the 110W, the Skope offers a host of installation options, including the Trento Suite. Compatible with the 70W and the 110W, the Trento Suite allows the Skope to be instantly mounted to the wall either to the right, left, or centrally. Find out more about the Trento Suite here. All outset electric fires in the Skope range can be fitted into bespoke installations, and can be installed within anything from wood surrounds to tiles. The Skope boasts a variety of energy saving options, and even comes with an alternative to the log effect – a striking Crystal Ice fuel bed. Find out more about the Skope by heading to our product page. The electric Studio comes in three sizes: the landscape Studio 1 and 2, and the portrait 22. Each size is available with a choice of both Glass and Verve framing options. The Verve has a beautifully curved frame, adding designer style, while the Glass offers an ultra-contemporary sleek focal point to complement any interior. Each contemporary Studio electric fire can be controlled using a remote control, with 4 levels of brightness available. The Riva2 670 is an electric fire with a host of installation options. Available to be hung directly on the wall with a wall mounting box, this electric fire comes in a variety of framing options to suit all kinds of contemporary styling. Offering the ability to also be recessed into a pre-constructed hole, or hearth mounted into a traditional fireplace opening, the Riva2 670 provides alternative options, enhancing your home’s styling possibilities. 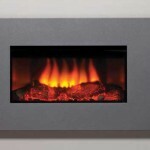 Like the other Gazco electric fires, the Riva2 670 can also be used without any heat at all. To find out more about choosing an electric fire, your local retailer will be able to advise on what would best suit your requirements.